Which traders are suitable for StocksToTrade? Who wouldn’t dream of consistent profits in their trading ventures. Majority of traders spend a lot of time researching companies, going through financial news, analyzing stock charts as well as a host of other activities in order to find the right set-up for a trade. 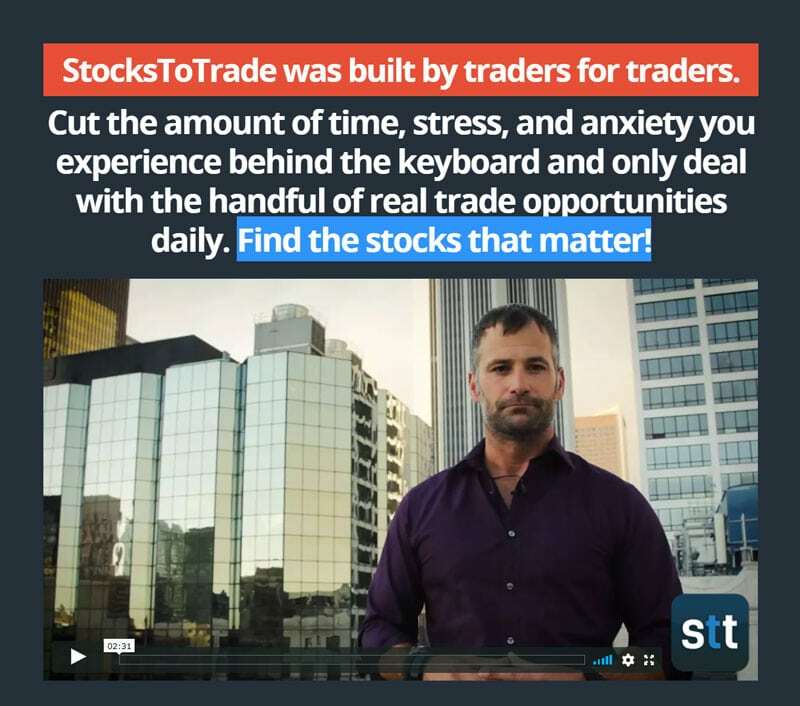 StocksToTrade aims to offer a better solution in order to find the right stocks and set-ups for you to profit off on. Stockstotrade thrives to be a one stop shop in the stock scanner world. 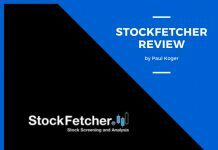 This is a stock market research and scanning tool that combines watch list, level 2, charting, paper trading social media, and training, into one single platform. The whole idea is bringing together different ideas and consolidate them into one easy and accessible site. Tools that traders require to polish their businesses are found on different platforms. How about combining them into one instead of having them separately. When traders are researching on their businesses they go through dozens of pages or websites to get information. This idea was born by Timothy Sykes the founder of Profit.ly who created the StocksToTrade software for traders. Timothy Sykes has years of experience in trading. He brought this idea to life so as to help other traders access vital information from one place. The founder created an easy to use platform suitable for newbies and experienced traders. StocksToTrade is cloud-based and accessible via the internet with any browser. 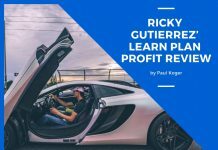 Timothy Sykes is a trading guru who specializes in penny stocks. He’s part of the 1% globally who have made millions in stocks trading and has trained thousands on how to do what he loves doing. StocksToTrade is designed to bring traders together. The platform over the years has evolved and become a unique and rare platform. It was initially started as an Equity Feed. The software is looking to integrate with other existing brokers online so that users make trades quickly. Oracle is one of the outstanding features in the StocksToTrade platform. The feature gives its members a list of 5 to 10 active stocks which are generated at any time of the day. The high profitable setups are provided by this feature/tool which keeps data updated in real-time. It has the algorithm capability to forecast upcoming price movement and indicate the stocks name, allowing the traders to apply their strategy and pinpoint exits and entries. Charts run with tools and popular indicators in a smooth manner. Traders can choose between bar and line charts and candlestick. You are also able to select the timeframe, ranging from a minute to monthly. This tool gives its members a possible analysis based on specified time frames. 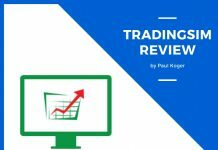 It also reviews swing and intraday traders. Traders can mark the chart flow and track the chart trend then come up with the forming patterns. 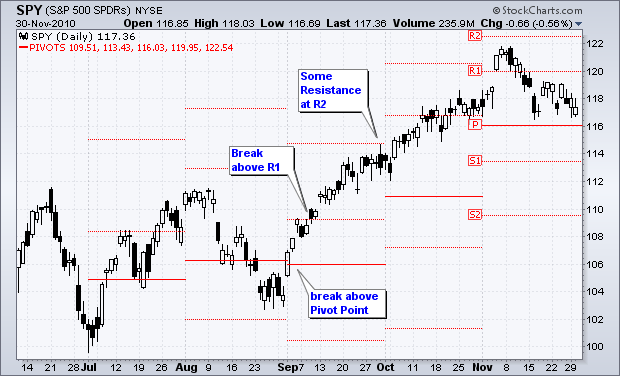 This feature informs traders about stocks that are gaining momentum based on breakdowns and breakouts. It is an eye for monitoring the stocks on time. This is a helpful feature which changes before the momentum heats up. Paper trading was explicitly made for heavy activities of the members. However, it is still suitable for newbies looking to try out their skills. StocksToTrade gives new traders a paper trading platform where it is not necessary to put capital online. This is by far the most user-friendly platform so far allowing inexperienced traders to learn and develop their techniques without risk. Imagine testing for free without taking any risk. Traders get comfortable to test strategies without trading in real capital. This a unique feature in the StocksToTrade platform which enables users to get a 2nd level window for their stocks. The window gives StocksToTrade members a glimpse of the stock pricing. The prices are always active on this 2nd level window, but the sizes may differ. Traders use this method to spot where to place orders which will give them maximum liquidity. It allows its members to carry out an in-depth analysis by highlighting out of sight bids and still ask price actions. 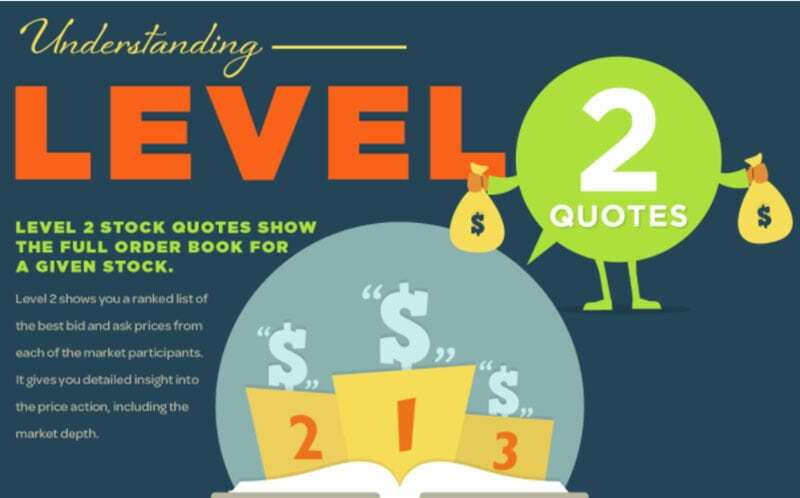 Level 2 method should be used with other analysis as market makers use it deceptively to hide actions. The StocksToTrade platform pulls news from Twitter, Yahoo Finance, Wall Street Journal, MSN Money, FinViz and Seeking Alpha. The site can stream news through a different window and link to various windows. Social media is an influential tool in the world today. Billions of people spend their time on social media every day. Therefore, developers incorporated Twitter filter to spot news and activities about stock trades. In most cases, things happen in social media and later trickle to news platforms. Twitter is most preferred considering its speed, and traders find it indispensable. Built-in Twitter feeds help traders keep track on the latest hashtags. The feed is filtered by percentage, price, volume, and change. Still, you can build a filter that will include activities of your favorite traders. When viewing news headlines, what drives you to read the article below it? First, it is the headline. Headlines are the main drivers in any stock market. Investors and traders track headlines to keep track of events, mergers, financial results, etc. News can be filtered to suit your preference based on trade keywords, time frames and reliable news outlets like Wall Street Journal. StocksToTrade traders have the option to change color, settings through the customized panel. Charts are pre-loaded with special pricing and momentum indicators which includes moving stochastic, averages, Bollinger Bands and pivot points. The platform allows the members to customize settings and scans. It has a high tech ability to scan pink-sheet stocks, OTCBB, NASDAQ, NYSE, and AMEX. 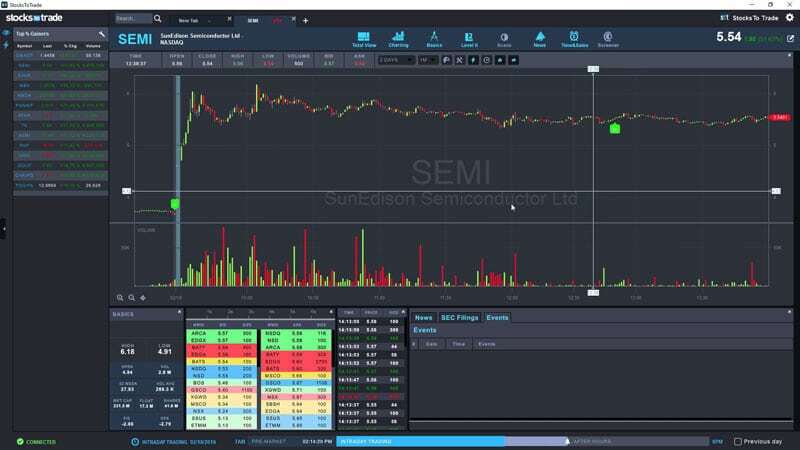 The scanners do all the legal scanning work enabling the traders to select preferred stocks to trade with and monitor them. This platform has a solid simulator starting balance of $30,000 which is adjustable. A trader has many objectives they want to achieve in their course of trading. The simulator helps the traders adapt to different trades while at the same time they are monitoring charts which is the critical objective non-emotionally. This helps traders get prepared to trade in real money. Afterall, they have been monitoring the charts behaviors and are sure where to buy. Every trader has a secret game plan to make it in the stock market. As they say, the players are many, but the game plan is different. It’s all about staying ahead and increasing liquidity. The StocksToTrade team over time rolls out new updates and features with the aim of improving and adapting the user’s capability daily. The development team managing this platform seriously takes into consideration members requests, bringing the platform to an eco-system that is free of decision making. Members of the StocksToTrade platform can set up many watch-lists. This allows them to monitor trades simultaneously. Users can set alarms to monitors price triggers and consistency of the charts. This a membership service. You subscribe to access their services. The charges are $179.95 per month. However, they have a yearly package of $1,799.50. 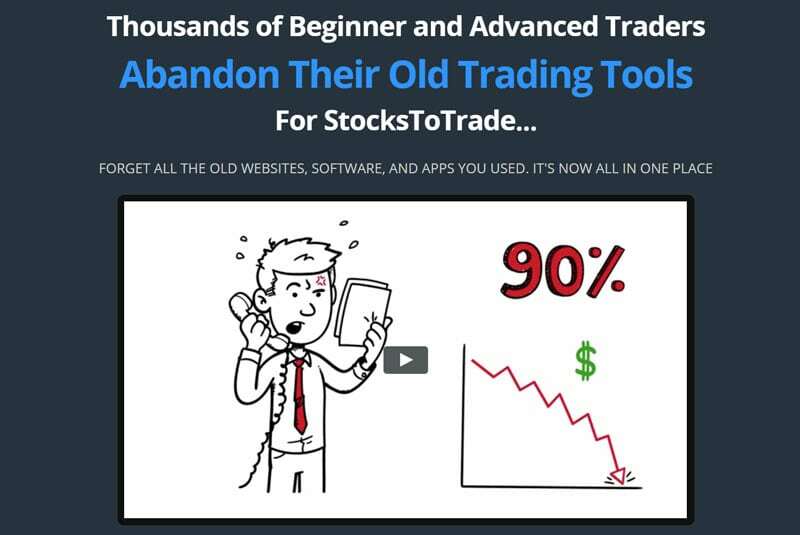 New traders can test the StocksToTrade services with a weekly trial of only $1. The platform has an advanced version of StocksToTrade Pro that integrates training with a live chat run by Tom Bohen, the moderator. Bohen streams live, analyzing the market trades with audio and video analysis from his trading workstation. This is wonderful since traders can engage in a live chat and ask questions that need in-depth explanations. By providing his inputs and insights, traders get first-hand training from a master and successful trader. There are webinars for traders weekly, with an annual cost only disclosed after an upgrade. As earlier mentioned the subscription fee is $179.95 per month which translates to 1,799.50 dollars annually. If you pay upfront, you are given a discount on annual program. Personally, I would recommend taking the seven days free trial for a dollar and then make your personal judgment. Reason? StocksToTrade is worth the subscription only if you are an active trader and your account is large. What is the risk? The risk is not making profits that will cover your expenses. If you get enough setups, you can manage to repay the costs from profitable trades. Other than that, it is advisable to pay a subscription fee if you are an active trader. StocksToTrade is an all research platform suitable for professionals and newbies. For active traders who are eager to move to the next level, they can sign up for StocksToTrade Pro which offers advanced training from professionals. StocksToTrade is like a full house research platform which includes simulator, scanning, charting and level II. These are integrated together to offer the best services to traders. The platform offers a one-week trial at almost no cost ($1). Filters social media (Twitter) news for trading purposes. With the help of the Oracle tool, it spots even where the market is stale and still reveals 5 to ten high picks daily. The platform is compatible with Windows and Mac. The platform hinders integration from brokers. The prices are on the high side. New traders will find $180 per month expensive for screening tools. You need to pay extra for advanced training. Since it’s a new software, there are cases of lagging. StocksToTrade can actually help you make a signficant amount of money (provided that you know what you’re doing). However, many newbies make a common mistake utilizing unsuitable tools. With proper training, you will know which tools you need to use. So does the StocksToTrade offer the real trading deal? Yes, it does. First, you are given seven days trial at the cost of $1. If you decide to continue with it, it is likely that the tool will cover its costs in trading profits. However in order for that to happen, you would actually need to have a strategy that works and a sufficient trading account (I think that 2K$ is the absolute minimum you should have). StocksToTrade will not give you profits instantly and make you an investment pro by itself. It, however, highly increases your chances of success whether you are a long-term investor or a stock trader. The platform is a great tool to discover stocks that are on the move. I personally use it to find stocks to trade on a daily basis. 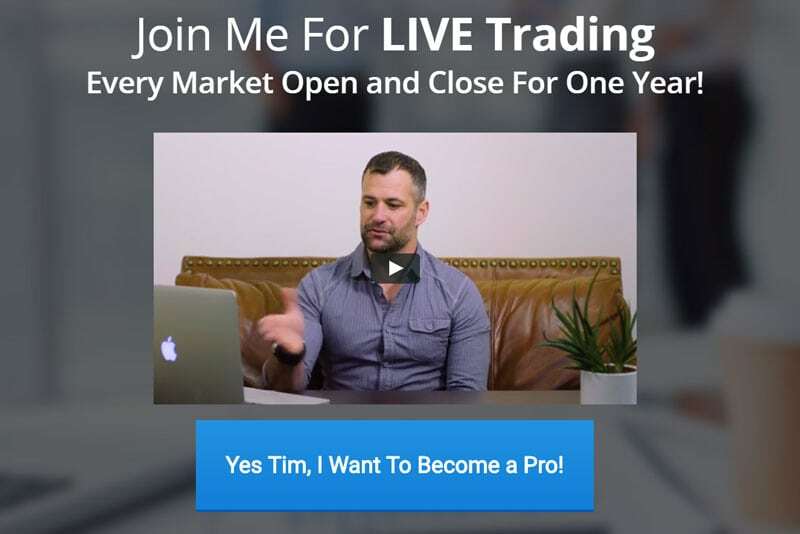 Combined with a day trading chat room subscription, you will have a powerful set of tools to increase your chances of success. Although bear in mind that you should have a proper trading account balance in order to give yourself a true chance of success. Starting with a 200$ account and spending as much on a monthly trading service subscription needs you to make 100% per month to break even :)..unlikely. Starting with at least a couple of grand, however, is different story. In that case, I’d say go for it.